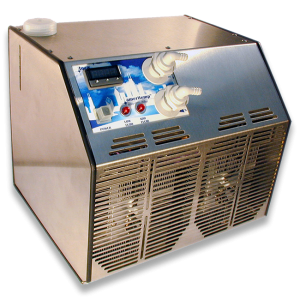 Bench top Recirculating Liquid Chillers are a compact and reliable solution for cooling and heating water and glycol/water solutions. Suitable for laboratory and portable applications, many accessories, options and custom modifications are available. 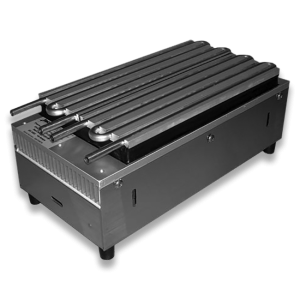 TECA’s solid-state Recirculating Liquid Chillers for bench top use offer versatility, reliability and performance. Applications include quality control, sample heating and cooling, laboratory testing, laser cooling, manufacturing and more. Notably, the TLC-900 has been used in published research (see 50 Years of Innovation section on this website for details, 2012). Versatility: Various input voltages are available for each model. Most models include an integral, programmable temperature controller. Heating is an available option on all models. Accessories are available including fittings and low-temperature cold plate attachments (cascades). The TLC Cube solid-state Cooling Cubes provide a thermoelectric cooling “engine” around which you can build your own system. 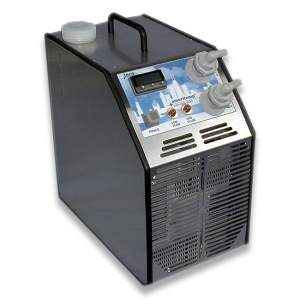 The TLC-1200 offers two separate cooling circuits. Performance: Low-temperature cold plate (cascade) attachments can reach temperatures as low as -50C. Multiple features including USB communications and data-logging software is included with the TLC-900 model.